Rapid Software Testing fosters what you must have to test well: a love of testing. By this, we don’t mean the love of paperwork and button-pushing. Instead, we’re talking about learning, analyzing, finding trouble, and helping people. That’s the heart of testing. That’s what Rapid Software Testing (RST) focuses on. How do you do great testing? How do you get excited about testing? How do you sustain that excitement? How do you use that energy to help people become better testers? How do you foster respect for the testing process? How do you cultivate the kind of testing that is worthy of respect? It is a way of doing, teaching, and talking about testing that gives responsible people the freedom and the tools to do testing well. Whether you are a tester, a developer, a manager, or anyone else for whom testing matters, RST gives you a lot to love about testing. If you want to adopt RST for yourself, you don’t need anyone’s permission or coordination. That’s a personal matter. But if you want a team or a whole company to adopt RST, that’s going to require patient, persistent leadership. We test to develop a comprehensive understanding of the product and the risks around it. We test to find problems that threaten the value of the product, or that threaten the on-time, successful completion of any kind of development work. We test to help the business, managers, and developers decide whether the product they’ve got is the product they want. RST instructors all have at least 20 years of experience in practice, research, teaching, and consulting about testing and software development. We do not make appeals to authority; we speak from our experiences, and we appeal to your experience and intelligence. You control what you think and do, so we encourage you to question and challenge us. An introduction to this context-driven method of testing any product. New ways to think about how to test rapidly, responsibly and systematically. RST as practice, we focus on a particular product. We survey it, analyze it, perform tests and report the bugs, and then critique the bug reports. Excellent testing is an open investigation by skilled technical people. Learn RST thinking skills and become a better test manager. A systematic expertise-based approach that promotes a culture of craftsmanship and continuous learning. Risk-based testing is a powerful way to focus testing and to justify the time and energy it takes to test deeply. 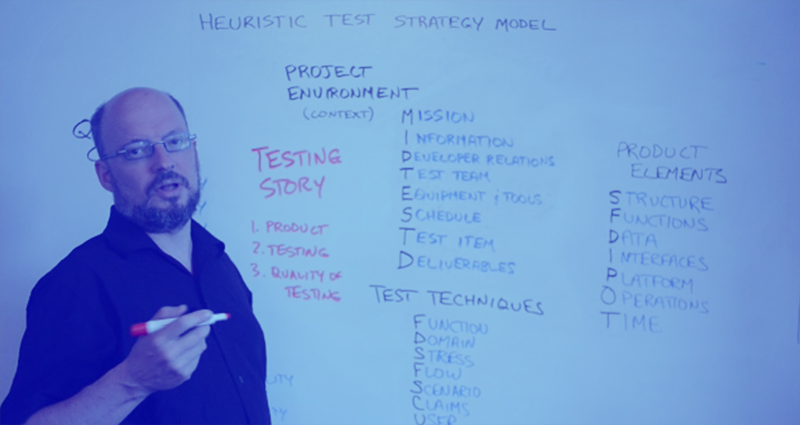 Knowing how to construct, explain, and critique a test strategy is the gateway to credibility as a tester.